Newmont Mining Corporation is primarily a gold producer, with significant assets or operations in the United States, Australia, Peru, Indonesia, Ghana, Canada, New Zealand and Mexico. 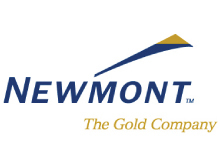 Founded in 1921 and publicly traded since 1925, Newmont is one of the world’s largest gold producers and is the only gold company included in the S&P 500 Index and Fortune 500. Headquartered near Denver, Colorado, the company has over 34,000 employees and contractors worldwide. In 2007, Newmont became the first gold company selected to be part of the Dow Jones Sustainability World Index. Newmont’s industry leading performance is reflected through high standards in environmental management, health and safety for its employees and by creating value and opportunity for host communities and shareholders.